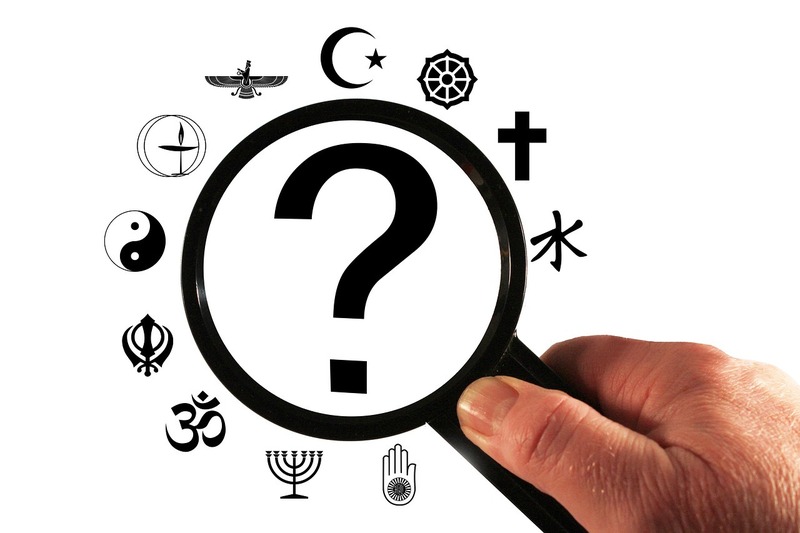 What are religion and History? If we talk about the definition of religion eternally: It’s like the teaching, practice, the way of living life, a spiritual tradition, a culture followed by the peoples. Legend says since human race evolved, many religions emerged in the history which made their place for living on this beautiful planet called ’earth’. ; Then war was introduced. The war of survival, the war between nature and humans and the conflicts between existing religions, also called tribes. We all know what happens at the end of the war? The empire of religions disappeared in the dust of time who lost their will to survive and left the mark behind of their existence. But still few of the ancient religions are around there who survived, who made their places. Also, there are communities who claim their regions are the oldest. There is a vast list of a different religion in this world but the major religions of the world are given below. We all know Christianity is the religion which is followed by the majority of peoples in the world and it is also the largest religion in the world. But it doesn’t make it the oldest religion. Also, Islam and Buddhism have major followers and vast community. But if we talk about the oldest religion, which has a big history and existed during all major events in history and is still followed by the majority of people in existence in this world is ‘HINDUISM’. Hinduism refers as the ‘Sanatan Dharma’ -The Eternal order. According to scriptures of Hinduism in Vedic Sanskrit, it shows it took place in history approximately in 2500 BCE to 1500 BCE. If we refer to history, scriptural and evidence showed by scholars, it shows that maybe Hinduism is the first religion of the world. This scriptural are Upanishads and Vedas which contains all kind of information of that time and also about the society built by the peoples of that time. It includes Medical science, biology, mathematics, astrology, architecture, nature’s law and many more. The tradition we following today in India and in the subcontinent of Asia also is a legacy from those scriptural. There are different types of scriptures in Hinduism like Puranas, Vedas, Upanishads, and Smritis. There is no place in the world where Hinduism is not followed by Hindus. It includes India, Pakistan, Nepal, Bangladesh, Malaysia, United Kingdom, United States, Canada and much more of the places and countries all around the globe. Hinduism is the largest religion followed in India by Hindus. According to the world population reports, there are 80% of peoples who are Hindus in India. They follow their trends, culture and also welcomes the other religions who want to join in. They are merely called like Indians. India is the country where you will find every religion from all around the world. India is the land of assortment. Excluding Hinduism, there are many other religions existing in India and people who are following other religions are also living in this country for centuries. Islam, Buddhism, Jainism, Sikhism are other major religions of India. Based on regional differences, there are slight changes in languages like somewhere we can find speaking a man in Hindi which is most and primarily spoken language in India and if we move from a city to another state or city, the natives are speaking in Marathi, Punjabi, Tamil, Telugu etc. This is the beauty of Hinduism that it accepts all. India is a SECULAR state and other religions are respected equally as the Hinduism. Judaism: Followed by Jewish peoples, it is one of oldest religion. It finds its history in approximately 1250 BC (not BCE). Jainism: Followed by Jains, it is one of the oldest religion founded in India since the Indus Valley civilization. Buddhism: This religion belongs to followers of the Buddha which were founded in Asia since the 6th century BCE. Zoroastrianism: According to legends, it was founded by a Prophet in ancient Iran, approximately 3500 years ago. Taoism: According to records and scholars, this religion was originated in China approximately in 3rd or 4th century BCE. But if someone asks what is the best religion in this world? Then the answer is as simple as HUMANITY is the best religion in this world. After all, we all are the same species in this beautiful planet called earth. We are humans. No religion is higher than the religion of Humanity.